Products with multi-attribute certifications from independent organizations such as Green Seal and UL ECOLOGO (for institutional cleaners), and Cradle to Cradle and Safer Choice (for specialty and consumer cleaners) are widely available, comparable in cost to conventional cleaners, and meet performance standards. Also worth considering in addition to (not as a substitute for) multi-attribute certifications are single attribute certifications such as UL Greenguard GOLD and USDA Biobased. Green Seal: Green Seal provides science-based environmental certification standards that are credible, transparent, and essential to helping manufacturers, purchasers, and consumers make responsible choices that positively impact business behavior and improve quality of life. View a list of Green Seal-certified cleaning products here. UL ECOLOGO: UL ECOLOGO certifications are voluntary, multi-attribute, lifecycle-based environmental certifications that indicate a product has undergone rigorous scientific testing, exhaustive auditing, or both, to prove its compliance with stringent, third-party, environmental performance standards. View a list of UL ECOLOGO-certified cleaning products here. Cradle to Cradle (Silver or Higher): The Cradle to Cradle Certified Product Standard guides designers and manufacturers through a continual improvement process that looks at a product through five quality categories — material health, material reutilization, renewable energy and carbon management, water stewardship, and social fairness. 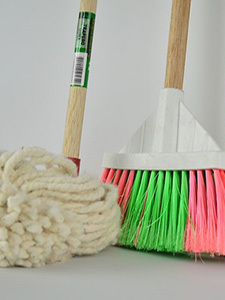 View a list of Cradle to Cradle-certified cleaning products here. Safer Choice: Safer Choice (formerly Design for the Environment) is the U.S. EPA’s label for safer chemical-based products. The label means that EPA scientists have evaluated every ingredient in the product to ensure it meets Safer Choice's stringent criteria. 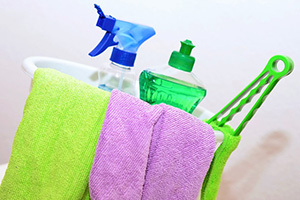 View a list of Safer Choice-certified cleaning products here. UL GREENGUARD Gold: UL GREENGUARD Gold Certification (formerly known as GREENGUARD Children & Schools Certification) helps manufacturers create — and helps buyers identify and trust- interior products and materials that have low chemical emissions, improving the quality of the air in which the products are used. All certified products must meet stringent emissions standards based on established chemical exposure criteria. View a list of UL GREENGUARD Gold-certified cleaning products here. USDA Biobased: The USDA Biobased program is a voluntary initiative in which companies may apply for certification to display the USDA Certified Biobased Product label on a product that states its third-party tested and verified biobased content. A product must meet or exceed the minimum biobased content percentage in its given category in order to qualify for certification. View a list of USDA Biobased-certified cleaning products here. 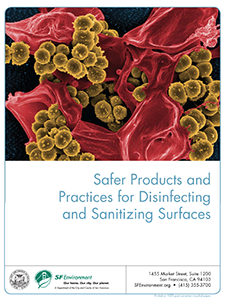 RPN helped SF Environment create a wide-ranging analysis of disinfectant products, including information on environmental and health hazards, surface compatibility, effectiveness for various microbes, best practices, and recommended products. Researchers compared health hazards, environmental impacts, germ-killing claims, surface incompatibilities, and other factors for 11 common active ingredients, 33 representative disinfectant products, and 24 surface sanitizer products. This “alternatives analysis” also considered non-chemical options such as improved cleaning practices and the use of various tools, such as microfiber mops and electrolyzed water devices. The study recommends active ingredients and specific products for general disinfection as well as for special purposes such as locker rooms (athlete’s foot fungus), bloodborne pathogens (HIV and hepatitis), and stomach flu (norovirus). RPN provided technical support for this SF Environment update to a 2008 pilot project to study bleach-free disinfectants and sanitizers in child care centers and family child care homes. Many child care operators are moving away from bleach as their primary disinfectant and sanitizer because it has been recognized as an asthmagen, meaning a substance that can cause new asthma. The 2013 Update is a how-to guide for converting a single site to a bleach-free environment, replicating this intervention on a larger scale, and assuring that a child care site is prepared for communicable disease outbreaks. 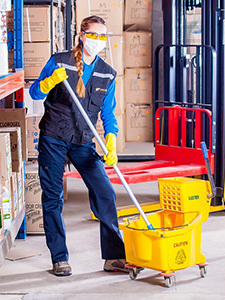 FAC85 offers a broad selection of environmentally preferable cleaning products, including janitorial paper goods, entryway systems, equipment, trash liners, and specialty items/technologies. This contract can be used by state agencies, local governments, educational institutions, and other public entities and nonprofit organizations in the following states: Massachusetts, New York, Connecticut, New Hampshire, Rhode Island, and Vermont (and in other states, by request). The Commonwealth of Massachusetts, the State of New York, and RPN received an award for this model green cleaning procurement initiative from the Sustainable Purchasing Leadership Council (SPLC) in 2016. FAC85 Contract User Guide: This guide provides a general summary of the contract, outlines pricing/purchase options, includes a vendor list, and reviews benefits and cost savings associated with the contract. FAC85 Green Cleaning Products Frequently Asked Questions: This guide provides basic facts about FAC85, and answers frequently asked questions about the benefits of buying from the Statewide Contract and using green cleaning products. Attachment A: Mandatory Specifications and Desirable Criteria for FAC85: The FAC85 sourcing team developed mandatory specifications and desirable criteria for all products offered on FAC85. For a product to be listed, it must meet these environmentally preferable specifications. In 2013, Oregon and Washington developed a Request for Proposals (RFP) with support from RPN under a NASPO contract for environmentally preferable Janitorial Supplies, Industrial Papers, Equipment, and Incidental Services. Oregon awarded four cooperative Price Agreements (3400-3403) that offer thousands of low-toxicity, recycled-content, and other “green” products in seven categories: (1) cleaning and building maintenance chemicals, (2) hand soaps/sanitizers, (3) waste can liners, (4) janitorial paper products, (5) cleaning supplies and related custodial equipment, (6) powered janitorial equipment, and (7) compostable food service ware. A press release on this contract can be found here. Solicitation requirements and price agreements can be accessed via the ORPIN procurement website by searching for the contract title or contract #s 3400-3403. These contracts are available to all political subdivisions in Oregon through July 30, 2018. Washington State’s Green Janitorial/Industrial Paper price agreements can be accessed on the Washington Department of Enterprise Services’ website under Contract #00812. Adopting a Sustainability Policy and Green Cleaning Procedures. Is your organization interested in transitioning to safer disinfectants? 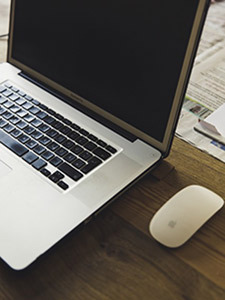 Listen to the RPN webinar that highlighted best practices for safer disinfecting strategies, complete with program recommendations.